Orange has announced that it has come to an arrangement with Apple to sell the iPhone in the UK, where it will be the only network other than O2 to sell the iPhone 3G and 3GS in the UK. Orange announced the deal in a short statement, although details on pricing tariffs and availability are yet to be revealed. 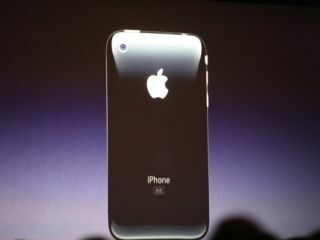 "Orange UK and Apple have reached an agreement to bring iPhone 3G and 3GS to Orange UK customers later this year. Orange globally now offers iPhone in 28 countries and territories," said the statement. "Orange, which has the largest 3G network covering more people in the UK than any other operator, will sell iPhone in all Orange direct channels including Orange shops, the Orange webshop and Orange telesales channels, as well as selected high street partners. O2 has responded to the announcement, stating it always knew this would be the case, despite constantly re-stating it would be the exclusive carrier on a 'multi-year deal'. More information on pricing, tariffs and availability dates will be released in due course."